Johnny snagged this turntable at a yard sale for $5 recently. We had a pretty sweet setup in our last house, but since we've been in Springfield, the little Crosley combo record player is all we've been using. The thing is cute, but it plays all everything just a little too fast... which can be pretty bothersome when you're familiar with an album. Anyway, after purchasing a couple of needles for our last turntable and having trouble with that, it was great to just start fresh with this guy. It's nice to have music going in the house all the time again. I've really missed that. 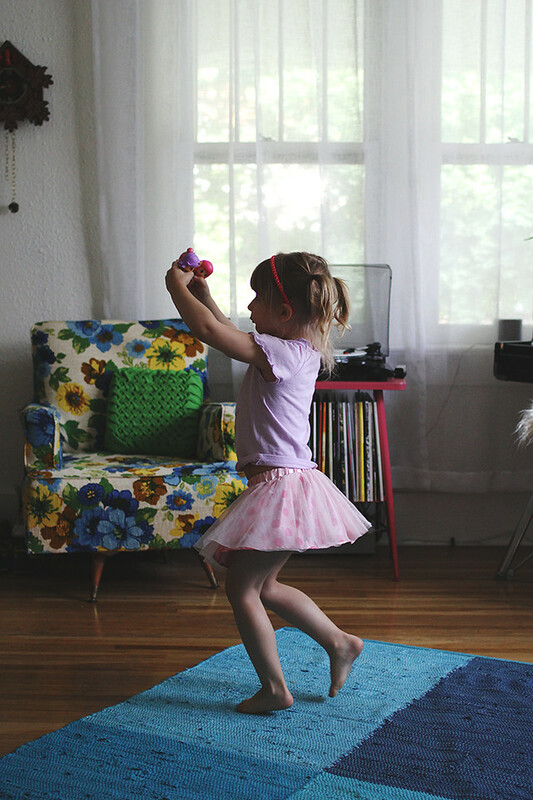 Impromptu dance parties are one of our very favorite things! xo. 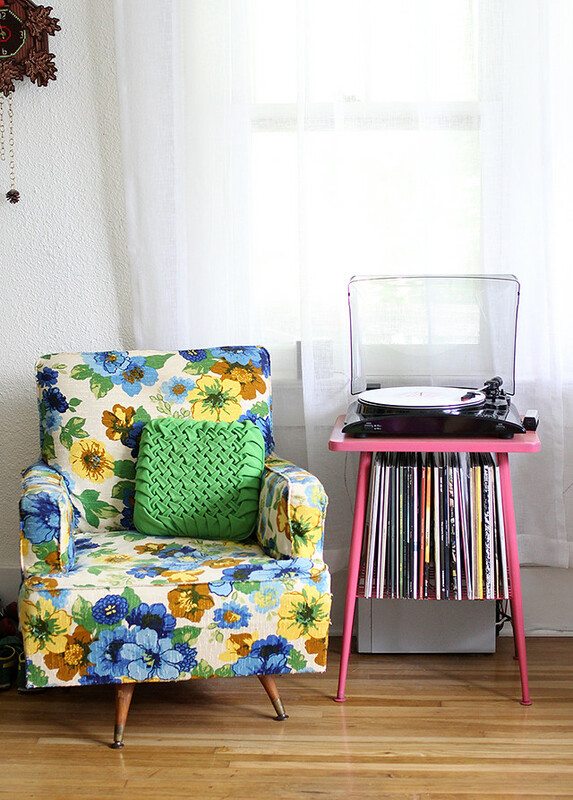 I'm crushing on the record player stand and the little chair with it's bright floral upholstery. I really love that table! I'm guessing it was a one-off or vintage find? 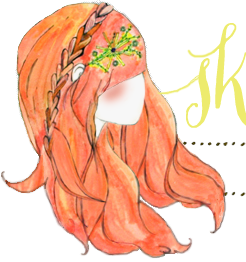 I would love to find one like it! Ours too!! Dance parties whilst making dinner are my favourite!! I have a record player in my room (which is where we stay all day - it's more like a living room) and its been a gift to us. 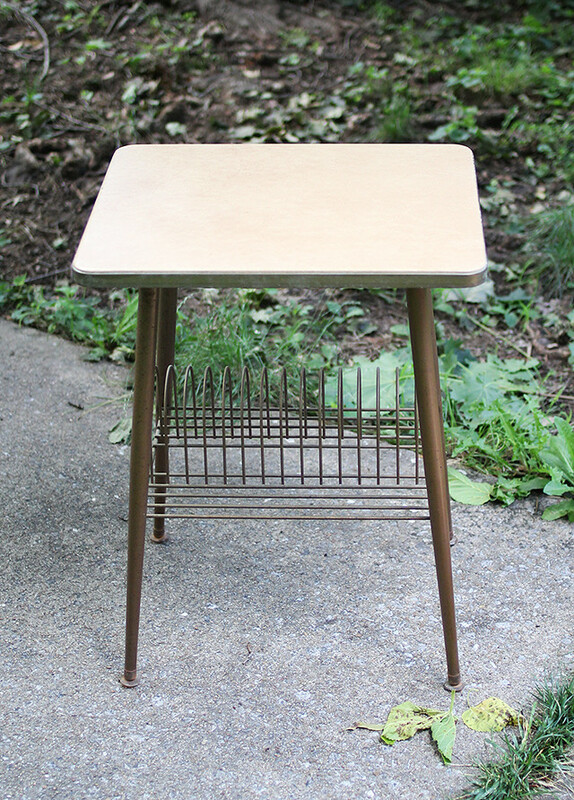 I love how fun this table turned out and that chair is precious! 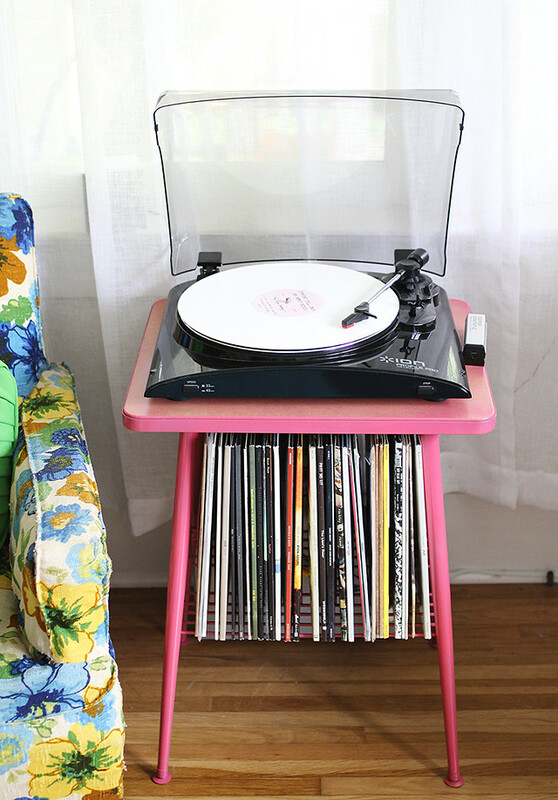 That table looks so good in bright pink! Wonderful to hear that your house is full of music again. I'm hoping to get a record played and begin a record collection for myself. 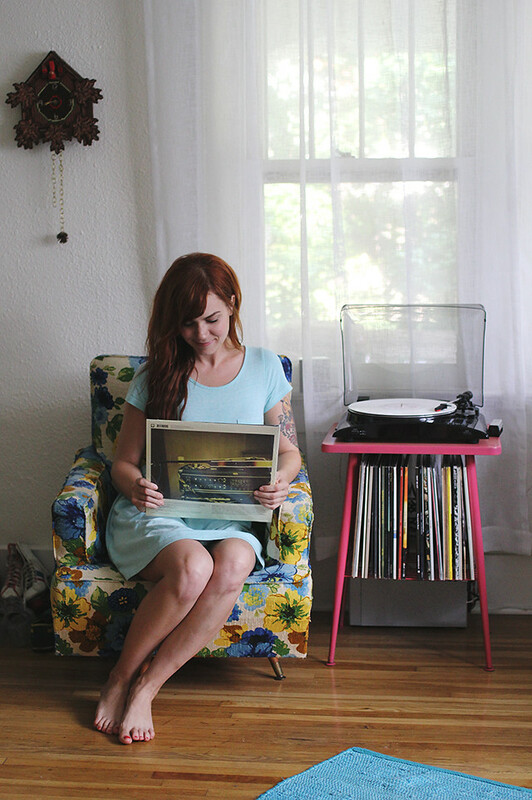 I have fond memories records playing in our home growing up and I'd love to reconnect with my past and create some special memories for my kids too. 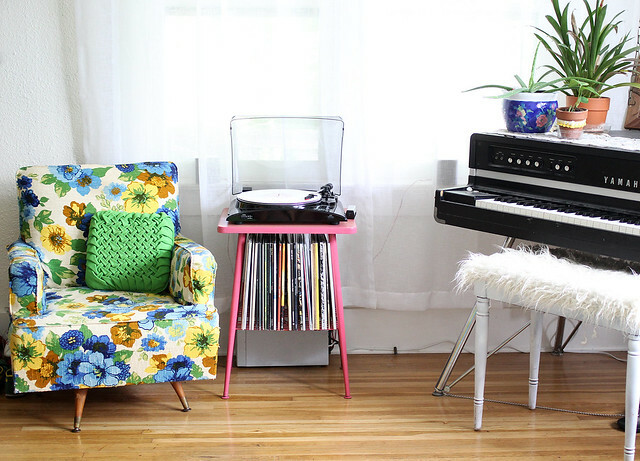 That table is utterly beautiful and so handy - I'd love a way to display my record player and records together, rather than the latter being shut away in a cupboard or in unsightly stacks! I had it for myself. It's amazing. Really great record player stand , beautiful colors !